Algreen's Modena self-watering planters add refined elegance to your home. Available in high gloss or matte finishes and in a variety of sizes to suit a wide range of home decors. Manufactured using a proprietary engineered polymer resin with UV Inhibitors and is frost proof to protect from the elements. These sophisticated planters include an easy to lift internal plant liner with convenient telescopic handles to make planting simple. The large water reservoir supplies water to your plants as required and is designed to reduce watering frequency. The Modena's water-level indicator shows you when the reservoir needs more water, making it easy to grow beautiful plants and flowers inside or outside. Algreen's Modena windowsill and herb garden planters are also Perfect as a center piece on a table or as a decorative accent anywhere in your home. Do you want to branch out of your comfort zone and test out your green thumb? Perhaps you live in an apartment or a small home and miss the joys of having your own garden or perhaps you desire to incorporate a more organic way of living and just not sure where to start. The Ivy Herbs Planter by Keter can hold favorite herbs, flowers and other household plants. Its a great way to add fresh ingredients to any five-star dish you may create in your own kitchen. Imagine the delight you will feel when you snip a few leaves of fresh herbs to incorporate into your home cooked meal. This is also a great tool to get children more involved with growing and eating fresh produce. To use your Ivy Herb planter, remove the 2-piece lid, drop in your favorite herbs in their original container (4.5 in. or smaller), replace the decorative lid and set on your counter or windowsill. The Cambridge planter offers a blend of modern and traditional design. The curved shape creates a unique and classy look providing a beautiful accent to the entrance of any home. Single wall moulded design, made with high-grade polyethylene. 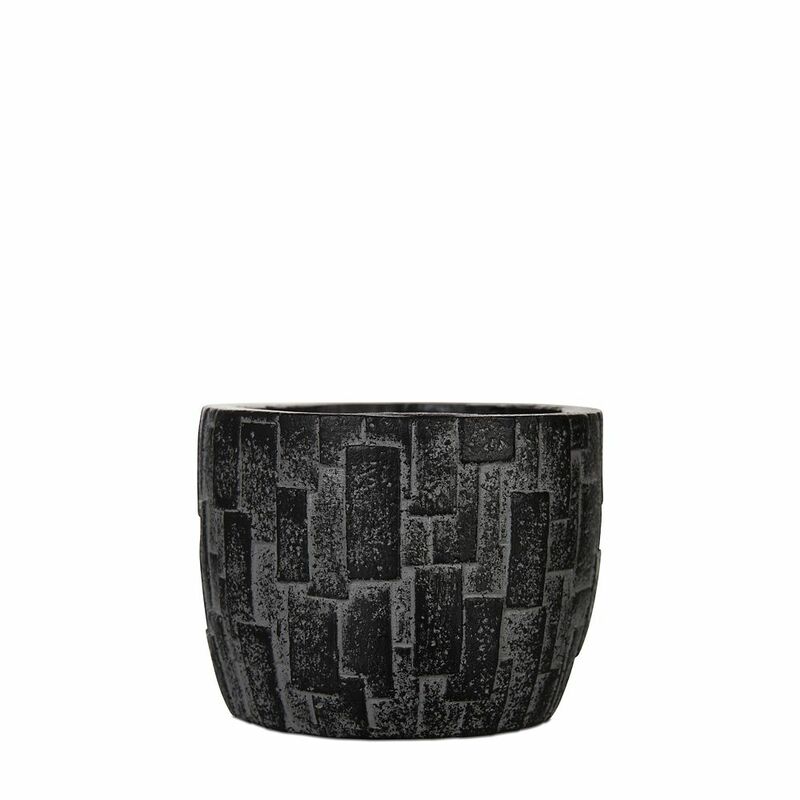 Egg planter stone II 3.5x3.5x3.1 inch black A stylish collection and wide assortment of beautiful planters with a modern touch and clean-lined finish while adding a welcoming refreshing touch to porches, entryways, decks, poolside and indoors.